Home / Products / Turkeys / Whole Smoked Turkey 10 to 12 Lbs. Whole Smoked Turkey 10 to 12 Lbs. 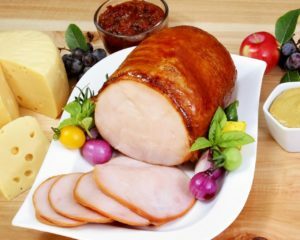 Our hickory smoked turkey average weight is 11 pounds and serves 10-12 dinner servings and 12-16 buffet servings. Turkey never tasted so good. Our plump turkeys are slow-smoked to seal in the tenderness. 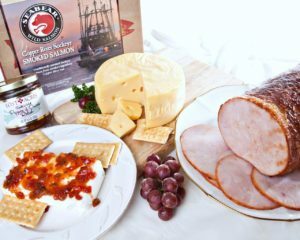 Find out how good turkey can taste, then treat your family and friends to a flavor they’ll never forget. 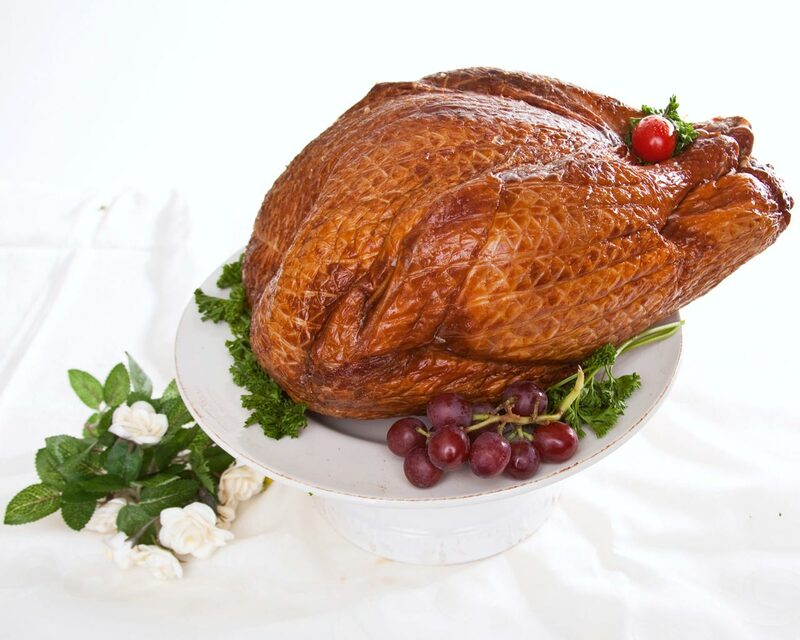 Our hickory smoked turkey average weight is 11 pounds and serves 10-12 dinner servings and 12-16 buffet servings. 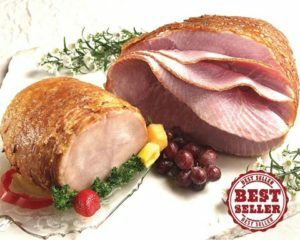 Note, if you want to serve turkey but have a large gathering consider adding either a Smoked and Glazed Turkey Breast already sliced for your convenience, or provide a choice for your guests with a hickory-smoked, honey-glazed spiral sliced Holiday Ham. Since our whole smoked turkeys are not sliced they can be heated. Remove the plastic wrap from the turkey. Loosely wrap the turkey in aluminum foil and place in a covered roasting pan with a little bit of water. Heat at 275 degrees for about 1 hour and 15 minutes. This will warm your turkey without drying it out.